The U.P. Author Book Tour is in its last week, but several events are still happening. You can find the list of the remaining events at: http://rariekki.webs.com/apps/blog/. The book tour has generated a lot of discussion about Michigan, and specifically Upper Michigan authors, both present and past, so I wanted to post a little about the legacy of Upper Michigan literature. I am sure there is much more than what I will post here so I invite others to let me know of any early U.P. literature I forget. Finally, thank you once again to Ron Riekki, author of U.P. for all his work organizing the biggest literary event in Upper Michigan history with more than 60 authors over the course of a month! Once you read the poem, the rhythm never gets out of your head. 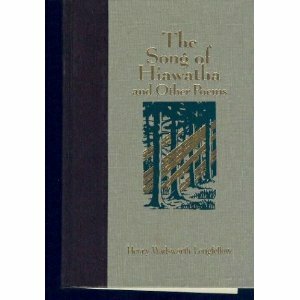 An interesting sidenote is that Longfellow borrowed the meter for the poem from the famous Finnish epic, the Kalevala–a work also well-known in Upper Michigan because of the large number of Finnish immigrants who have come to this area, although a generation after Longfellow’s poem was written. 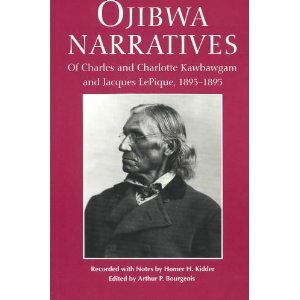 Another wonderful collection of Ojibwa narratives are those that Chief Charles Kawbawgam of Marquette and his brother-in-law Jacques LePique told to Homer Kidder in the 1890s (a depiction of this event is included in my novel Iron Pioneers). 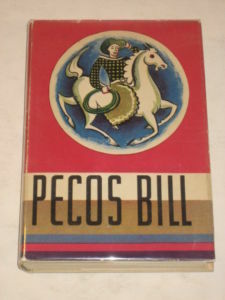 The manuscript was not published until 1994 by Wayne State University as Ojibwa Narratives, but it is another example of early Upper Michigan literature. 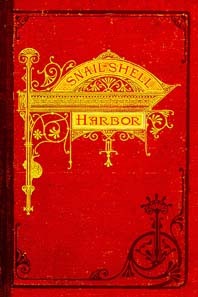 I am uncertain what the first Upper Michigan novel was, but for now, my best guess is Snail-Shell Harbor (1870) by J.H. Langille. This novel is set in the bustling early village of Fayette, Michigan, once an iron-smelting town in the Garden Peninsula. Today it is a famous Michigan ghost-town. 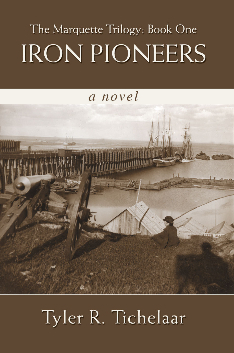 The novel describes the everyday life in the village of the ironworkers, fishing in the harbor, and the life and death struggles that those early pioneers faced. A reprint of the book is available at Great Lakes Romances. Fayette is today a historic park open to visitors. For more information, visit Historic Fayette State Park. 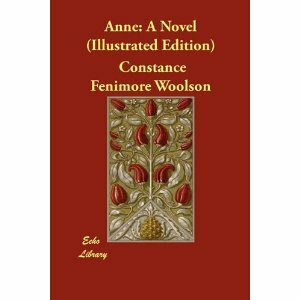 Another early novel is Constance Fenimore Woolson’s Anne (1882) set on Mackinac Island. Woolson was the great-niece of James Fenimore Cooper. she lived in Ohio but dearly loved to visit Mackinac Island. She was the aunt to Samuel and Henry Mather, owners of the Cleveland Mining Company. Henry Mather’s home still stands in Marquette, Michigan today, although no record exists that Woolson visited any of Upper Michigan other than Mackinac Island. When Woolson died, her nephew Samuel erected Anne’s Tablet on Mackinac Island in her memory. On the tablet is a passage from the novel. The novel itself has beautiful descriptions of Mackinac Island in winter, and frankly the Mackinac Island scenes are the most worth reading. It is a rather conventional romance novel of its time in that the heroine leaves the island and goes to the East Coast where she falls in love with a man in society but is ultimately jilted and returns home to Mackinac Island. It is not a great novel, but it is well worth reading for the descriptions of Mackinac Island alone. Much of Upper Michigan’s early nineteenth century literature is in the form of children’s books. 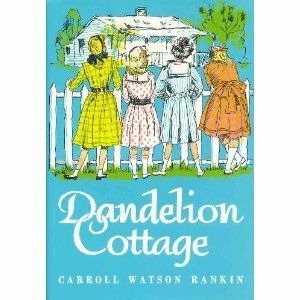 In 1904, Marquette author Carroll Watson Rankin published Dandelion Cottage, which is still considered a minor classic by many children’s literature enthusiasts. She reputedly wrote it because her daughter complained that she had read every book ever written for little girls. The story is about four little girls growing up in Lakeville in Upper Michigan who want a playhouse. The church allows them to use a small rental property it has in exchange for picking the dandelions off the lawn. The novel is based on a real house which still stands in Marquette today. See my previous post on Dandelion Cottage. Rankin went on to write several more books, including three sequels to Dandelion Cottage. James Cloyd Bowman lived across the street from Rankin on Ridge Street in Marquette. He was the head of the English department at Northern State Teacher’s College (now NMU). He became famous for his children’s book story collections, especially Pecos Bill for which he won the Newberry Medal, but he also published a book about Upper Michigan’s own Paul Bunyan, and Tales from a Finnish Tupa (doubtless because of the Finnish population in the U.P.) and he wrote a little known novel Mystery Mountain, set in a fictional version of Marquette and featuring the Hotel Superior. I imagine he and Carroll Watson Rankin knew each other, living across the street from one another. If only their conversations had been recorded. Two other children’s authors from Marquette were Dorothy Maywood Bird and Holly Wilson. Bird’s best known book, Granite Harbor (1944) is also set in a fictional Marquette and tells of a girl from Texas who comes to stay in Upper Michigan. Although resistant to her new home at first, she soon discovers how much fun a girl can have in the U.P., especially in winter with skiing and other activities. Bird wrote a couple of other novels as well. Holly Wilson grew up in Marquette on Arch Street. She wrote several children’s books set in Upper Michigan, and others just set in the Great Lakes region. Among her best books are Clara the Unconquered, which depicts a fictionalized version of Marquette in its early years, Deborah Todd, the story of a girl’s antics based on Wilson’s childhood, and The Hundred Steps, about the hundred steps in Marquette that led from Ridge Street down to the harbor; Wilson uses the steps to depict the class divisions in the town. Dr. James Cloyd Bowman taught creative writing at Northern, and one of his students was John Voelker, who would publish the bestselling Anatomy of a Murder (1956) under the pen name Robert Traver. Voelker used to bring his writing to where Bowman was residing and go over his stories with him. Wouldn’t we love to have those conversations recorded as well? Of all the novels to come out of Upper Michigan, Anatomy of a Murder remains the best known. It is based on a real murder that took place in Big Bay. Voelker was the defense attorney in the court case, and consequently, he was well-qualified to write a fictionalized version of it. In 1959, it was made into the film of the same name, starring Jimmy Stewart, Eve Arden, Lee Remick, George C. Scott, Ben Gazzara, and Arthur O’Connell. Novels set in the Upper Peninsula remained relatively few throughout the rest of the twentieth century, but in the last decade the number has grown tremendously as more and more locals come to appreciate how special Upper Michigan is as well as changes in the publishing industry allow people to self-publish their books. Well-known authors like Jim Harrison have depicted Upper Michigan in books like Returning to Earth. Lilian Jackson Braun’s Cat series (The Cat Who Knew Shakespeare etc.) are set in a fictionalized U.P. town. 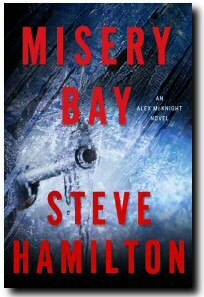 Mystery novelist Steve Hamilton has set several books in the U.P. including Misery Bay . (You can catch Steve Hamilton as part of the U.P. Author Book Tour. He makes his last appearance on Beaver Island on Thursday afternoon, July 21st at the museum). These authors have all achieved nationwide attention. The list of UP authors today is far too numerous to list them all. I encourage anyone interested in who is writing about the U.P. today to visit the UP Publishers and Authors Association for a list of all the member authors’ books. Another, far from complete list of U.P. authors can be found at my website www.MarquetteFiction.com.